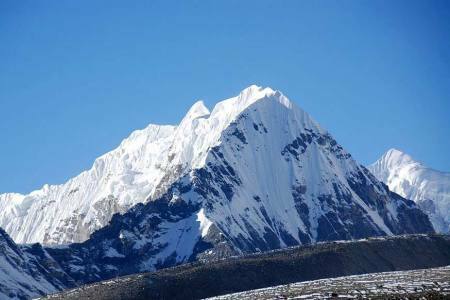 Ama Dablam is one of the famous mountains in the Himalaya range of eastern Nepal. 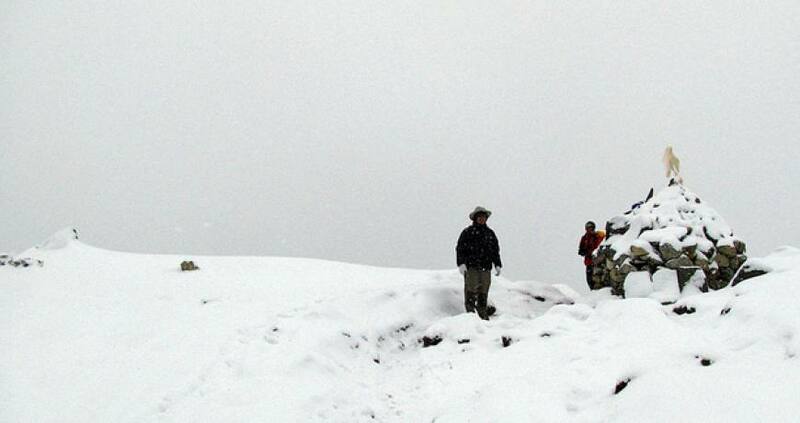 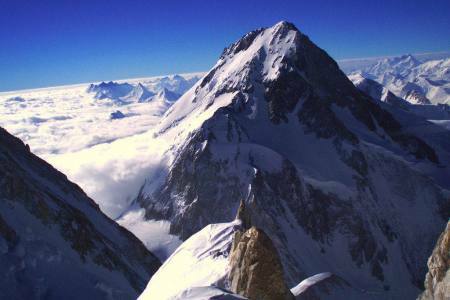 The main peak is 6,812 meters (22,349 ft), the lower western peak is 6,170 meters (20,243 ft). 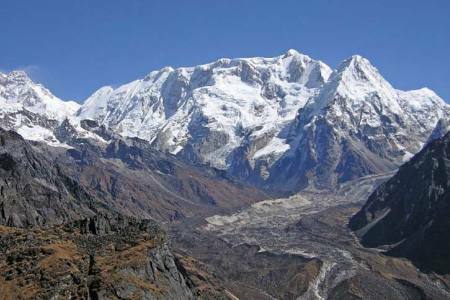 It is located at northern east part from Kathmandu. 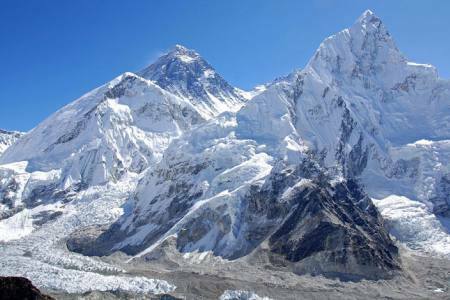 Ama Dablam means "Mother's necklace"; the long ridges on each side like the arms of a mother (ama) protecting her child, and the hanging glacier thought of as the dablam, the traditional double-pendant containing pictures of the gods, worn by Sherpa women. 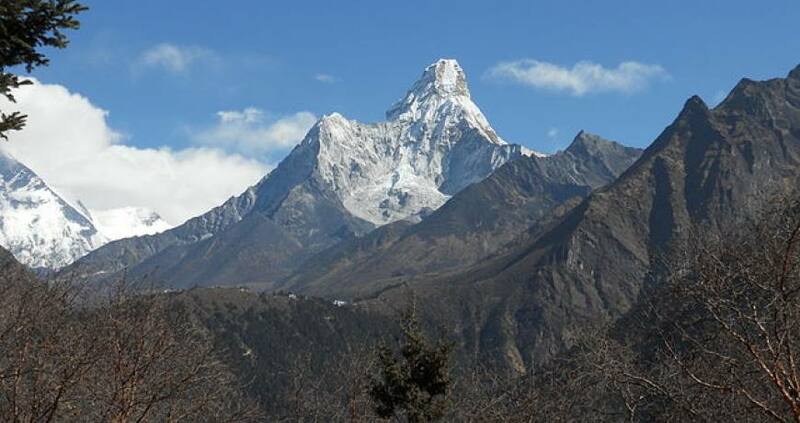 For several days, Ama Dablam dominates the eastern sky for anyone trekking to Mount Everest base camp. 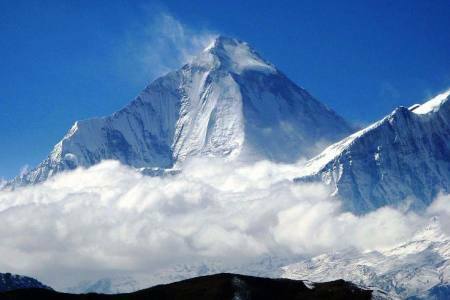 Ama Dablam is the third most popular Himalayan peak for permitted expeditions. 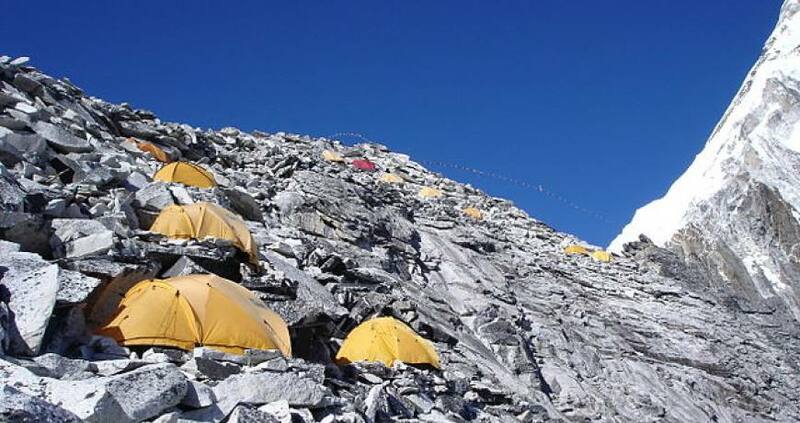 The most popular route by far is the Southwest Ridge (right skyline in the photo).Climbers typically set up three camps along the ridge with camp 3 just below and to the right of the hanging glacier, the Dablam. 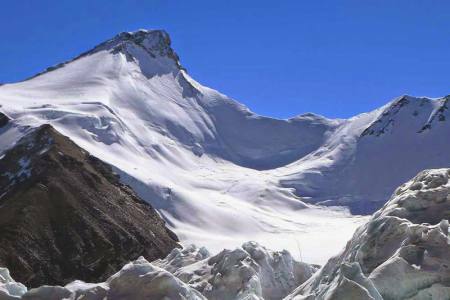 Any ice that calves off the glacier typically goes left, away from the camp. 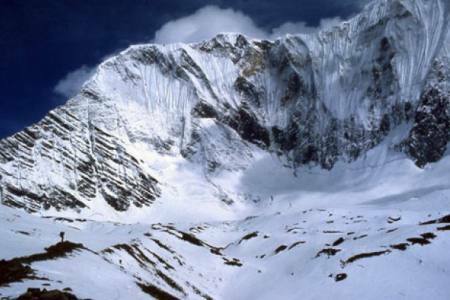 However, a 2006 avalanche proved that this is not always the case. 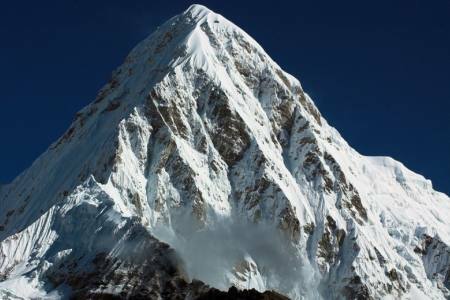 A climbing permit and a liaison officer are required when attempting Ama Dablam. 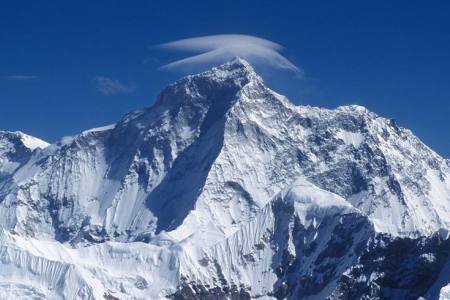 As with Mt. 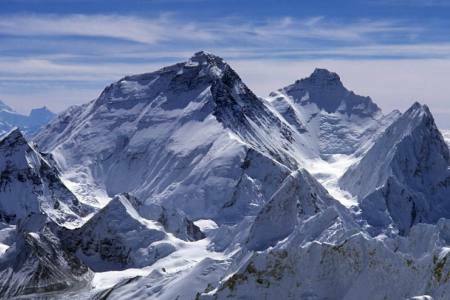 Everest, the best climbing months are April–May and September–October. 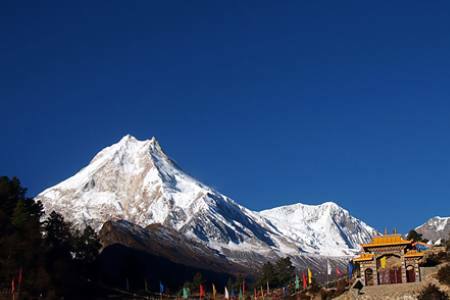 You visit ther monasteries, main walls, chortles and other Buddhist religious landmarks. 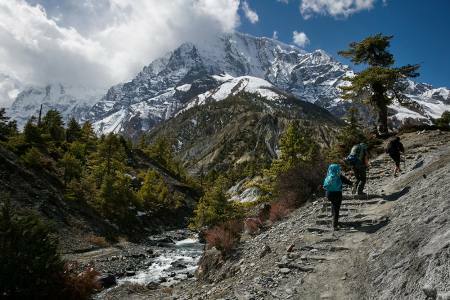 Day 25: Take a flight from Lukla to Kathmandu (1,350 M/4,429ft), (Lodge + B). 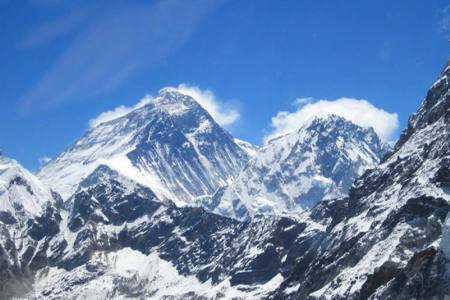 Day 25Take a flight from Lukla to Kathmandu (1,350 M/4,429ft), (Lodge + B).